On October 7, 2018 Heaven gained another angel. 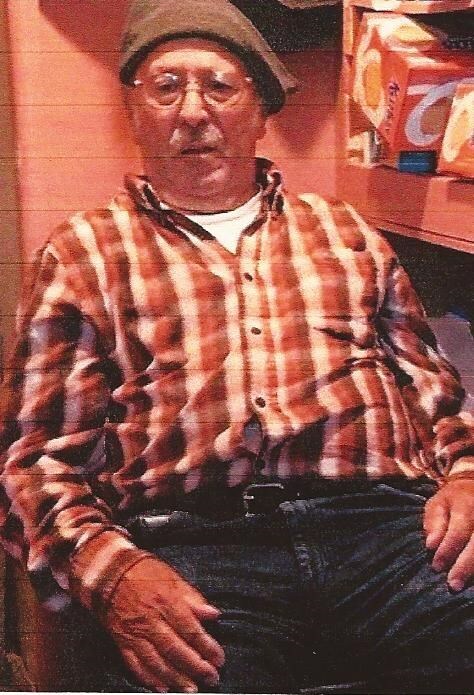 Ignacio Mingo Barandica, 76, of Rupert, ID passed away peacefully at his home. Ignacio was born in Arratzu, Spain October 19, 1941 to Miguel Mingo and Teodora Barandica; he was one of eight children. In his early 20's Ignacio was part of the Spanish Army serving a tour in Africa during the Vietnam War. After coming home from Africa he was sent over to Vietnam to fight alongside the United States, he was wounded and later sent home. His adventures in the United States began in 1966 when he flew from Spain to America to come work. His first job was a Sheepherder. He often talked about his days as a sheepherder, he truly loved that lifestyle. After that he went to work for Burley Processing and later worked for Simplot where he retired. Upon retiring from Simplot he couldn't sit still and went to work for Idahoan for 10 years. In 2016 he quit to enjoy the rest of his days in retirement. He had many hobbies; one was teaching his children how to fish and hunt and to work hard in life to achieve their goals. As young children he would take us to the sheep ranch and put us to work. He loved watching his children do what he did in his early years. He loved to paint and do yard work on his off time but his pride and joy was his garden. He had a great Green thumb and every summer you could find him working in his garden. I can never remember a time when I saw him not work. His work ethic and what he achieved spoke volumes about his character. He was very active in his later years in life and enjoyed every last minute of it. He will truly be missed by all that knew him. He is survived by his son Inaki Miguel Mingo Barandica, His daughter Karmella J Mingo Barandica both from Heyburn, ID. Nita Rudolph from Burley, ID Pam Keller from Paul, ID. And Randy Rudolph from Malta, ID. He also has nine grandchildren that he truly adored. Brandyn Barandica , Damen Barandica, Morgan Barandica, Evelynn Barandica, Jamal Barandica, Joseph Barandica Lopez, Cassidy Pass, Tyler Tibbits, and Merriah Keller. He is survived by his family in Spain, four sisters, Edurne, Conchi, Claudia, Mari Carmen and one brother Antonio. He is also leaving behind his dog and best friend Boomer. He is preceded in death by his parents and two brothers Bernardo and Agustin all from Spain. Services will be held at Hansen Mortuary 710 6th Street Rupert, ID. on November 2, 2018 from 6:00-8:00 p.m.. A Rosary will be conducted at 7:00 p.m.